On the back of strong early snowfalls, snowmaking and summer earth works we are set for the best course yet at the 2018 jNats at Mt Buller. A full-length course is expected, over 200m in length and two jumps, for some of the country’s hottest young talent to show their stuff on the Olympic Training Centre course. In addition to the exciting facility development over the summer, we also welcome a new sponsor to the event – Mark Adams Real Estate! Mark Adams Real Estate will supply cash prizes, and long-time Team Buller sponsor Bolle will also be providing product for the winner in each category. The event is sure to be spectacular! So make sure you don’t miss in on Saturday August the 4th. The 2016 Junior National Mogul Championships (jNats) have taken place under sunny blue skies at Mt Buller. 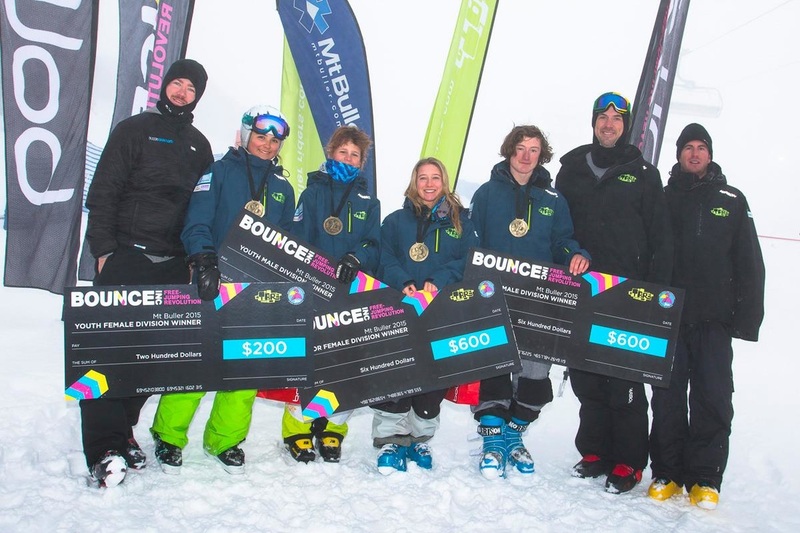 A strong field featuring 93 athletes from Mt Buller, Mt Hotham and Falls Creek battled it out on the Chamois ski run for $1600 in prizemoney from Bounce Inc and prizes from Bolle. After a week of snowy skies, the weather cleared right on cue during the qualification round, setting the scene for a spectacular day of mogul skiing and jumping. Two of Australia’s leading junior athletes Claudia Gueli and Angus Cronin-Guss performed strongly to recorded victory in the 19 and under division. In the 13 and under youth division, Edward Hill and Airlie Bowes won their first jNats titles. 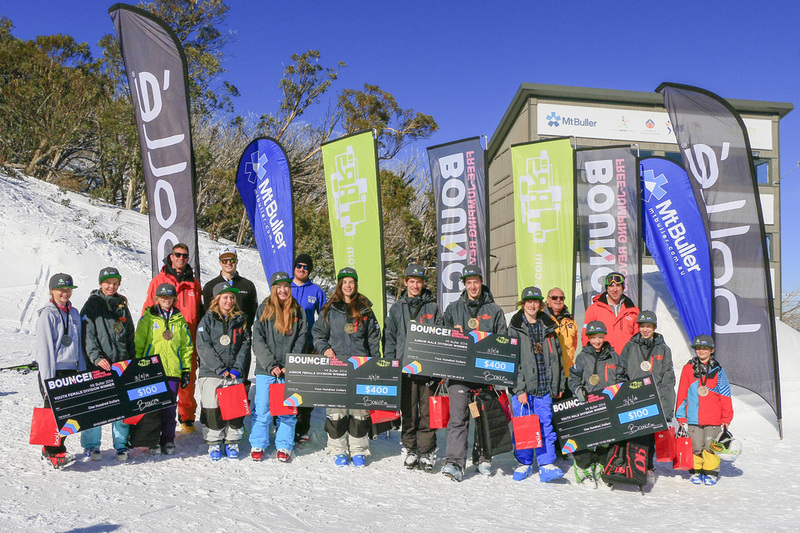 Many thanks to the event sponsors, Mt Buller Mountain Operations Team, Race Department, TBR Coaches and volunteers for their efforts in making the competition a success. 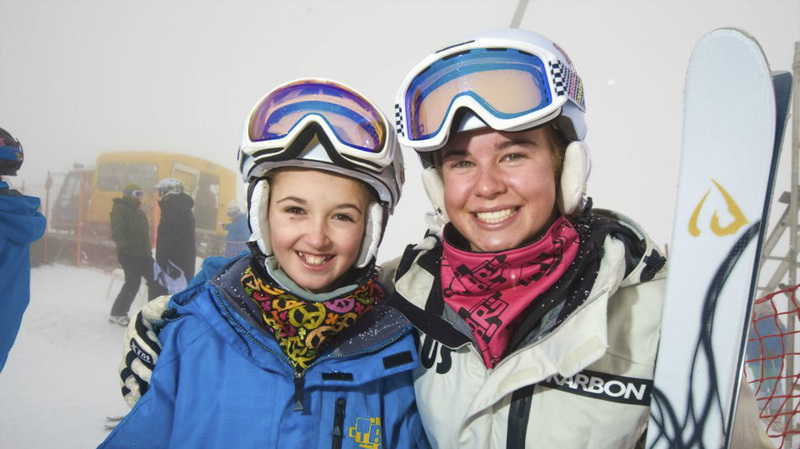 Australia’s leading junior mogul talent has competed at Mt Buller for the Junior National Mogul Championships ( jNats ). The competition was the first mogul event of the season held in Victoria, with 100 athletes entering the event from seasonal programs at Mt Buller, Falls Creek and Mt Hotham. Capturing their first jNats titles were Team Buller Riders (TBR) athletes Daniel Walker and Claudia Gueli who took out the Junior (Under 19) division. In the Youth (13 and under) division, Flynn Biesse-Fitton and Helena Lansell, both members of the TBR program, claimed victory. The event took place on Bourke St, which gave the athletes the opportunity to showcase their skills to a large audience, with a number of spectacular jumps and dynamic mogul turns in the bumps. 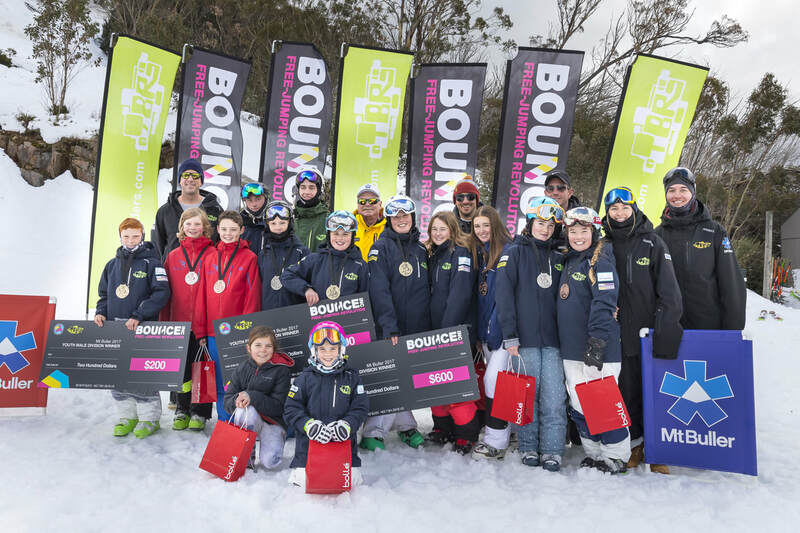 Athletes competed for one of the strongest prize pools in an Australian junior event, with $1600 prizemoney on offer from major sponsor Bounce Inc and prizes from Bolle and Aussieskier. Many thanks to the Mt Buller Mountain Operations Team, Race Department, TBR Coaches and volunteers for their efforts in making the event a success. The 2014 Junior National Mogul Championships "jNats" has taken place under glorious blue skies at Mt Buller. A field of over 60 athletes competed in the event, battling it out for a smorgasbord of prizes including $1000 prizemoney from Bounce Inc, Bolle Goggles and assorted items from Aussieskier. After each athlete had a qualifying run, the top ten skiers from each division advanced to the final. Both Jakara Anthony (Junior Female) and Angus Hill (Youth Men) were the number one skiers from qualifying and the final for their division, putting in a commanding performance. Angus Cronin-Guss (Junior Male) and Lily Schwarz (Youth Female) improved from their qualifying positions to take victory in their division. It was great to see a number of young competitors take part in their first ever event on a full length mogul course, which will give them great experience for the future. Click here to view event images from Mark Ashkanasy. Click here to see video of the event winners. Many thanks to Mt Buller, Bounce Inc, Bolle, Aussieskier, TBR, Judges and all volunteers who contributed to make the event an amazing success. A strong field of 96 athletes from club programs TBR, MBRC and Full Attack on Mt Buller were joined on the Summit course by 2010 Olympian and Australia's first ever female Mogul Skiing World Cup medallist, Britt Cox. In what was a difficult weekend with high winds and poor visibility forcing the cancellation of a number of events across Australian resorts, the 2012 jNats event was still able to operate under a modified format to ensure the events completion. The poor visibility led to the event needing to make a number of changes for it to take place, such as starting athletes from below the top jump and moving judges up to the bottom air. Congratulations to all competitors on the day who braved the tough conditions to take part. Despite not being able to run the full course, everyone gained valuable competition experience which will help for the events over the next few weeks. Be sure to visit the jNats facebook page to see some great photos of the event. The Junior National Mogul Championships "jNats" is set to return to Mt Buller on the weekend of August 4-5. A unique opportunity exists for athletes taking part, being able to train and compete alongside the leading junior female athlete in the world, 17-year-old AIS skier Britt Cox. 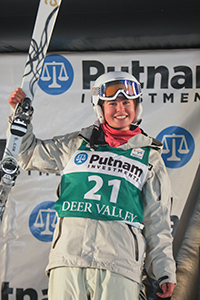 After winning the jNats and ABOM Mogul Challenge events at Mt Buller over the past two years, Britt announced her arrival on the world stage after becoming the first Australian female mogul skier to win a World Cup medal in Deer Valley, UT, USAm during February 2012. The jNats event caters for all levels of the sport from first time mogul competitors to World Cup medallists! Over 100 competitors are expected to compete in the event, which is testament to the popularity of mogul skiing in Australia, driven by strong club programs and success at the Olympic level. 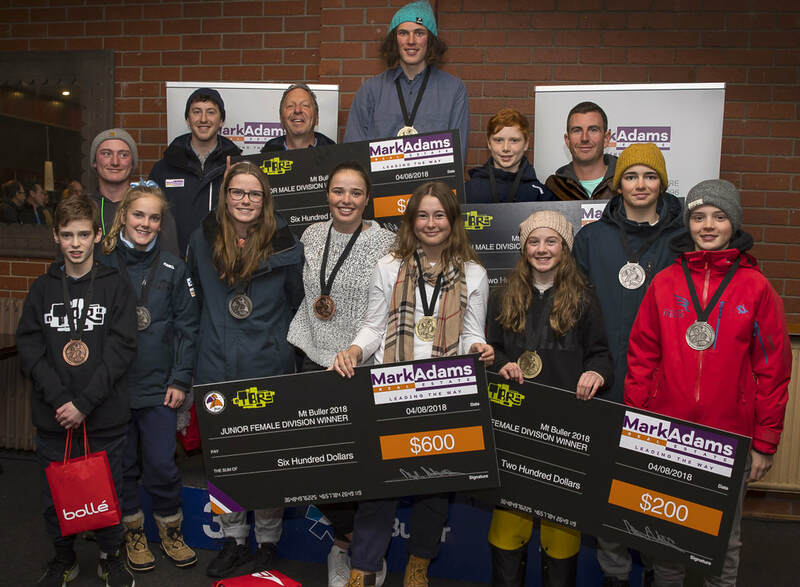 The event serves as a critical competition step for the nation's mogul skiing athletes, giving them the opportunity to press for national development team selection and providing an ideal lead-up to the Victorian Interschools and ABOM Mogul Challenge events at Mt Buller. 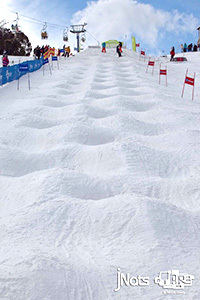 The event will take place on the Chamois ski run, featuring 170m of moguls and two jumps for competitors to negotiate. Two age categories are on offer, junior (born January 1 1998 to December 31 1993) and youth (born 1999 or later), with trophies awarded to each male and female podium winner and prizes donated by K2 and Bolle. Stay tuned for the entry form and event schedule which should be available in early July.